Caesars Casino was among the first regulated NJ online casinos to launch after operators were given the green light in November 2013. That Caesars was at the forefront of the industry really comes as little surprise, given its strong position in Atlantic City, spanning three of the city’s seven land-based properties. The launch product was not without its faults, however, but a timely switchover to the NYX Open Platform System in 2016 saved the day. And these days, Caesars is a solid second tier option, featuring a vast game library, solid one-off promotions, and a wealth of depositing options for players. In this review, we’ll take a look at Caesars Online Casino and find out if it delivers the same level of fun and excitement that its brick-and-mortar properties are known for! Note: Return to player percentages are displayed in parentheses. Create your Caesars account using the links on this page and get $10 absolutely free, just for signing up. The bonus carries a 1x playthrough requirement on slots, 2x on video poker, and 5x on blackjack and other table games. When you create a new account you receive $10 in bonus money free, no deposit required. To redeem the bonus players must wager the $10 bonus amount one time via slots, 2x for video poker games, or 5x for table games or scratchers. Players are warned that they will have just 7 days to satisfy the wagering requirements, after which the bonus funds will be forfeited. While wagering $3,000 ($300 x 10) on slots is no tall task, it will take min-bet players some time — so allocate accordingly. Caesars Online Casino boasts an impressive library of games, each designed to pique the interest of both the traditional veteran gambler and the newer generation of player. These games feature dozens of different themes, rules variations and payout odds which will surely keep gamblers busy. Caesars tries to include something for everyone in its online slots collection. Old school players might enjoy the Cleopatra or DaVinci Diamonds, while younger crowds will likely trend toward slots like Family Guy and Dr. Jekyll Goes Wild. Being somewhat in the middle of these two demographics, I was partial to the Guns N’ Roses slot, a straightforward and modern game which lets you pick your favorite GNR tunes to play as a soundtrack while you spin for big wins. Other slots are much more complicated, and can feature upwards of 100 paylines, progressive payouts and multilevel, 3D bonus rounds. All told, Caesars boasts more than 430 slots, which is somewhat above average for the industry. There are six progressives features: Millionaires Club III, Captain Nemo, Rags to Riche$, Cleopatra, Siberian Storm, and the screamingly popular Divine Fortune. 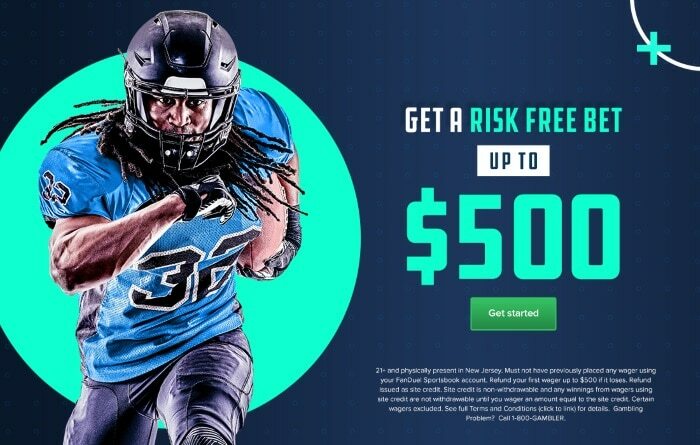 Sidebet Blackjack: Pays 3:2 on blackjack wins and, as the name implies, allows you to sweeten your payout by picking one of the five side bets available. Get paid 5,000:1 when both you and the dealer get dealt a suited king and queen as your first cards, if you’re Mega Match side bet is activated. The game’s minimum bet is $1 and the maximum is $500. Microlimit Blackjack: Has a minimum bet of $0.10, offers no surrender option, and pays 6:5 on blackjack (2:1 on suited blackjacks). 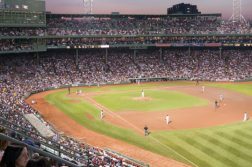 It’s not the most favorable rule set, but players will be hard pressed to find a lower minimum wager size. The other available options are pretty similar, with betting amounts being the main difference. They are no-frills classic blackjack tables which typically pay 3:2 on blackjack, allow doubles on any two cards, doubles after splits, and accept bets from between $0.25 up to $1,000. There are seven types of roulette available at Caesars, each offering slightly different rules and payouts. American Roulette (94.74%):Includes a racetrack option which allows you to bet each number (and its neighbors) based on where they fall on the wheel, rather than looking at them in numerical order. Two variants. Double Bonus Spin (98.06%): When you land on the extra Bonus space (which is larger) your current bets will be freerolled and let ride on a bonus spin on two concentric wheels. The feature adds an extra element of fun and offers the chance to make 1,200X your investment. NYX European Roulette (98.65%): Has one zero slot instead of a zero and double zero. Several variants. 3 Wheel Roulette (97.29%): Is comprised of three rings of wheels spinning simultaneously. The minimum bet is $1, but in reality you can only bet in multiples of threes, one bet per wheel. So, if you make a $1 bet for number zero, it turns into a $3 bet. Remember, with three wheels spinning, you have three chances to win on each bet placed. There is also something called the Color Up Bonus which is a side bet and pays out if there are matches when the wheels stop spinning. Triple zeroes will net you 1,200:1. It’s a decent alternative to traditional roulette if you need something to spice up your gaming. Let it Ride (96.49%): A poker variant in which you play against a pay table rather than the dealer or other players. Start out by making three even bets – minimum bets are $1, with a maximum of $75. You are then dealt five cards, three of which come face up, with two facedown. At this point, you have the option to take back one of your bets or Let it Ride. One of the facedown cards is then flipped, and again you have the choice of taking one of your bets back or keeping everything as is. When the last card is revealed, you put the five cards together to make the best poker hand possible. You’ll need a minimum of a pair of tens or better to qualify for winnings. You can also add a bonus bet to win, based on a separate pay table for the first three face up cards dealt. 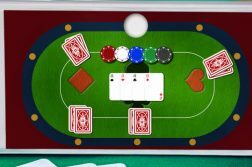 Three Card Poker (96.63%): This widely popular poker-based game is ideal for people who want to scratch their poker itch but may not have the time to play a full game or may be intimidated by playing against other players. Start by making an ante bet, and receive three cards face up. If you think your three cards have a chance to beat the dealer’s three facedown cards, you can double your ante with one bet. If you don’t like your chances, you can fold your hand and surrender your ante. There are also a couple of bonus bets you can make before the cards are dealt. Pair Plus rewards you extra for having a pair or better. 6 Card Bonus takes your cards and the dealer’s cards and puts them together to make the best five card hand (even if you folded). This separate pay table starts at three of a kind. Deuces Wild Elite (99.45%): Pays three-of-a-kind or better, and augmented payouts for five-of-a-kinds. Five Play Draw Poker: Lets you start with a base hand like every other video poker game. The cards you hold in that hand will also be held in four other hands which all will draw cards from their own deck to substitute for your discards. Nine different renditions of the game offer their own twists, like bonus payouts for different kickers when you hit four of a kind. The theoretical payout hovers around 97%. A Triple-Play version of this game is also available. 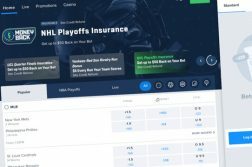 It has also debuted Virtual Sports — a new format to the NJ online casino market — which allows players to bet on simulated sporting and racing events. Apart from its sign-up bonus, Caesars Casino reliably offers weekend promotions, which run the gamut from sweepstakes to match bonus offers. Caesars is also known to host the occasional expansive promotion, such as its Millionaire Maker offer. For the month of January 2018, Caesars is awarding players daily entries to a $2500 Bonus Play Giveaway sweepstakes each day they log in. Total Rewards is the comp system used worldwide at over 40 Caesars Total Rewards properties. Caesars allows you to link your land-based Total Rewards card to your Caesars online account and accumulate credits instantly. For every $10 wagered on slots and $100 wagered in any other game, you earn both a Tier Credit and an Online Reward Credit. Online Reward Credits can be exchanged for cash at a rate of 1,000 credits for $10. They can also be redeemed for standard Reward Credits which are used for purchases at Caesars hotels, shopping, dinners and other benefits. Any online credits accumulated before you link your online account to your Total Rewards will not be counted, so be sure to include your accounts as soon as possible. The software on the main site runs slightly below par, with freezes, game crashes, and lag more abundant than we generally like to see. It’s not game breaking, and the problems are much less frequent now that Caesars runs on NYX’s platform, but they still pop up often enough. On the plus side, Caesars Online Casino runs on browser based software so it isn’t a huge memory hog and there is no downloading required. 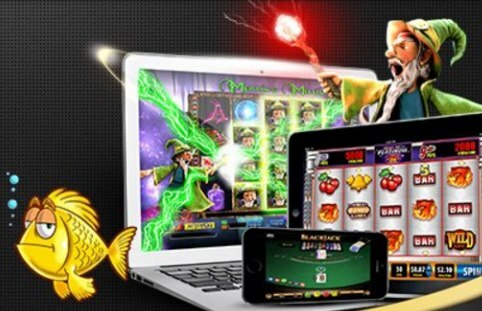 Additionally, the site is aesthetically pleasing, easy to navigate, and the superb game sounds will transport you right back into the hustle and bustle of your favorite casino floor. The mobile app (available for both iOS and Android) runs smoothly, and the lobby is laid out in such a way that players making the switch to mobile will have little trouble familiarizing themselves. The app is impressive with over 240 slots, 12 versions of video poker, three blackjack games, a single zero roulette table, and virtual sports. Players can check your account statement, bonuses, and even deposit and withdrawal right from the app. Having an issue? You are only a couple of taps away from a Live Chat with a trained support rep.
Caesars offers a toll-free 800 number, four separate email accounts segmented by inquiry type, a Live Chat system, and a robust and helpful FAQ library for all of your support needs. Perhaps the most recognizable brand in Atlantic City, Caesars was the second casino to launch in the East Coast gambling haven when it opened its doors in 1979. The company was founded more than four decades earlier under the Harrah’s name and now operates over 50 land-based casinos, several golf courses and a handful of gambling cruise ships. When New Jersey legalized online gambling in 2013, it was thus a given that Caesars would be a major player. The company is licensed to offer three casino websites in the Garden State (Caesars Casino, Harrah’s Casino, and 888 Casino) along with the online poker sites, WSOP.com and 888 Poker. Each of Caesars’ online casino properties are powered by 888’s Dragonfish software platform, except for Caesars Casino, which made the switch to NYX in 2016. A ton of slots with good assortment on both the app and the main site. Good variety in the video poker section. Easily link your Total Rewards card so you can earn Tier Credits online and offline. Choose to play silky-smooth software on your browser, or on-the-go with a modern app for both Android and iOS devices. PayPal as a banking option. A couple of different high-dollar deposit options. First time deposit bonus leans toward the small side. Desktop client is subject to minor technical issues. Having such a high profile name in the gaming industry brings high expectations along with it. Caesars does not disappoint in some aspects, like its large assortment of games and solid mobile app, but the desktop client leaves something to be desired.